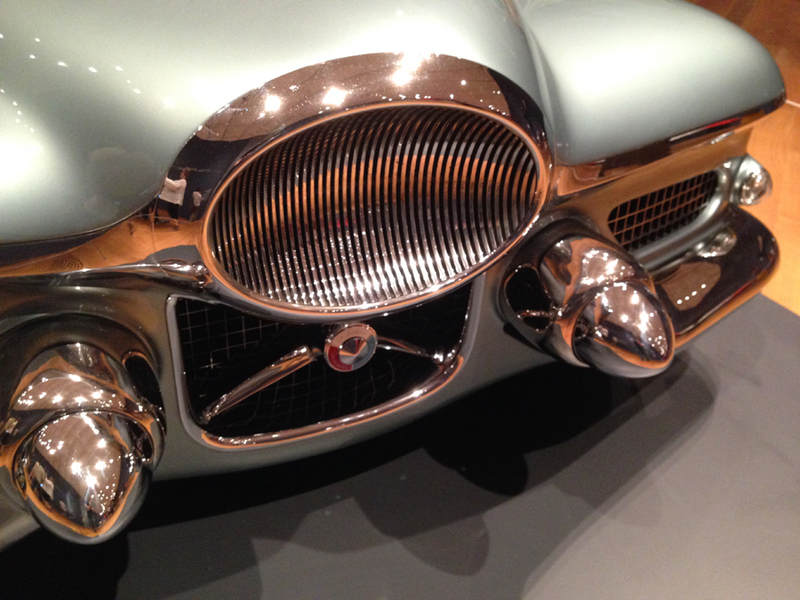 There is something for everyone at the current “Dream Cars” exhibit at the High Museum in Atlanta. I cannot imagine a more accessible exhibit. For one thing it has a rocket car on display. 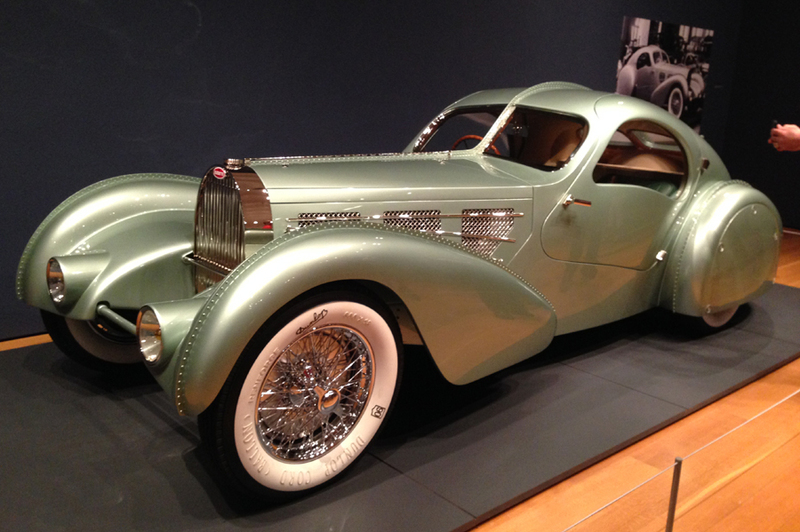 The exhibit consists of concept cars from the 20s through the 00s. Even the most adamant functionalist cannot help but be charmed by the beautiful forms, prophetic features, and incredible craftsmanship found in the cars on display. 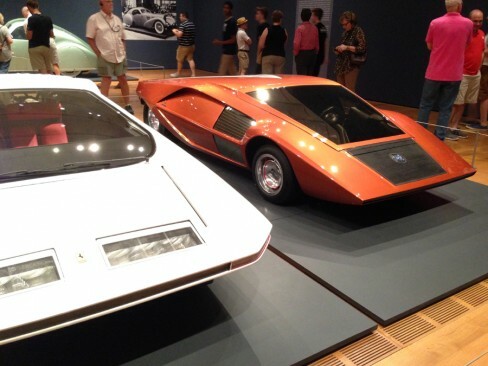 “The Dream Cars: Innovative Design, Visionary Ideas” exhibit runs at the HighMuseum in Atlanta, Georgia until September 7th, 2014. 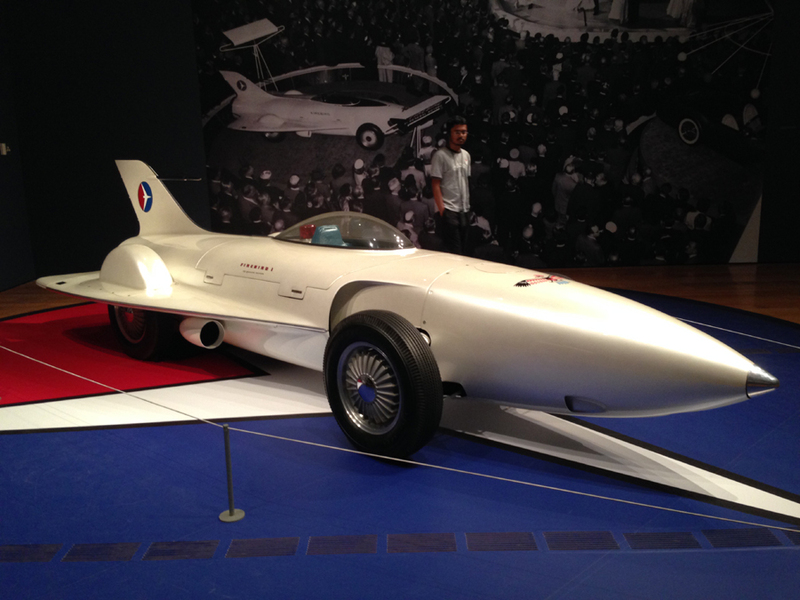 General Motors Firebird XP-21, 1953. This is a rocket car. No you cannot touch it. Don’t ask because they will just act annoyed and then watch you very closely from that point on. Even if you leave and come back wearing a sweater. They still know it’s you and they will be even more suspicious. I’m pretty sure they have all touched the rocket car after the museum closes. I know this because I asked the guard and he laughed like only a man that’s touched a rocket car could. Tasco, 1948. The “fender / wheels” apparently did not work out that well, but boy are they cool looking. Bugatti Type 57S. 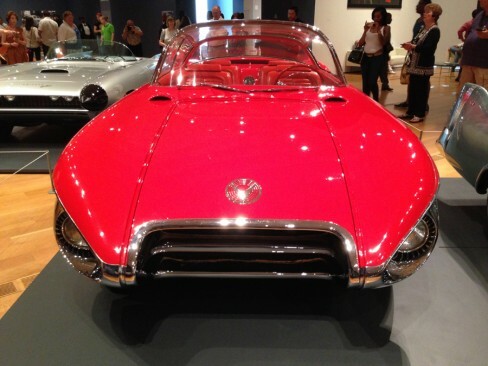 This one is a reproduction as the original concept car no longer exists. The rivets along the fenders were structural but are a nice design detail as well. The original body was made of magnesium alloy if you can believe it? Pininfarina (Ferrari) Modulo, 1970 at left and Lancia (Bertone) Stratos HF Zero, 1970 at right. Two Italian concept cars from 1970 that look very “Buck Rogers” to me. Chrysler (Ghia) Streamline X “Gilda,” 1955. This collaboration of American and Italian design is jaw dropping in person. Buick Centurion XP-301, 1956. This bad boy included one of those prophetic features I was talking about. It has a rear view camera with a screen mounted on the dash. 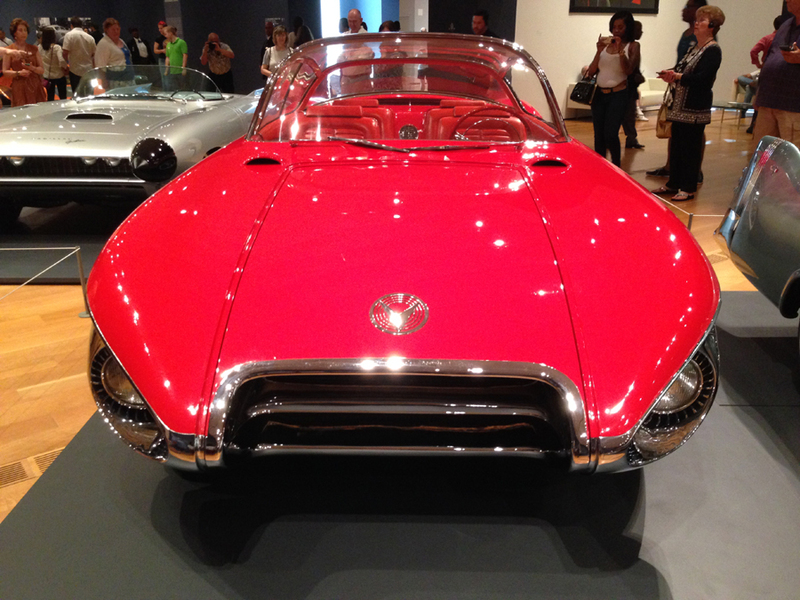 Can you believe this was conceived in the 50s and we are just starting to see it widely used in production cars today? 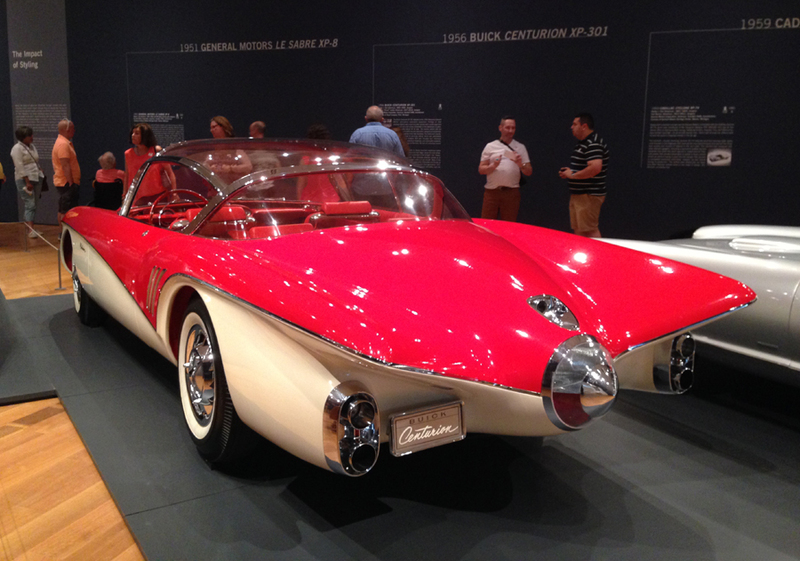 Back view of the stunning Buick Centurion XP-301, 1956. Grille closeup of General Motors Le Sabre XP-8, 1951.